Tis ultimate set of speakers is the perfect output that you need to enjoy those nail-biting matches and those thrilling movies. 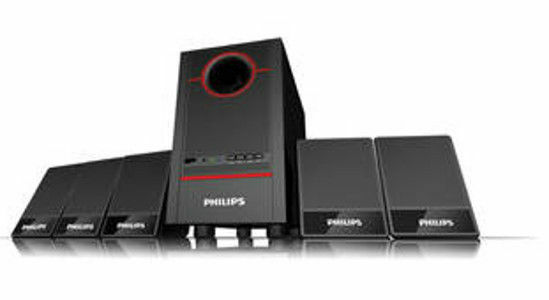 Philips SPA3500F 5.1 Channel Multimedia Speakers are the speakers with the most quality sound produced amongst all the speakers available in the market currently. Apart from that technical edge over the competitors, it also stands apart in terms of design and durability! Buy this lavish looking speakers at a nominal price only on Infibeam!